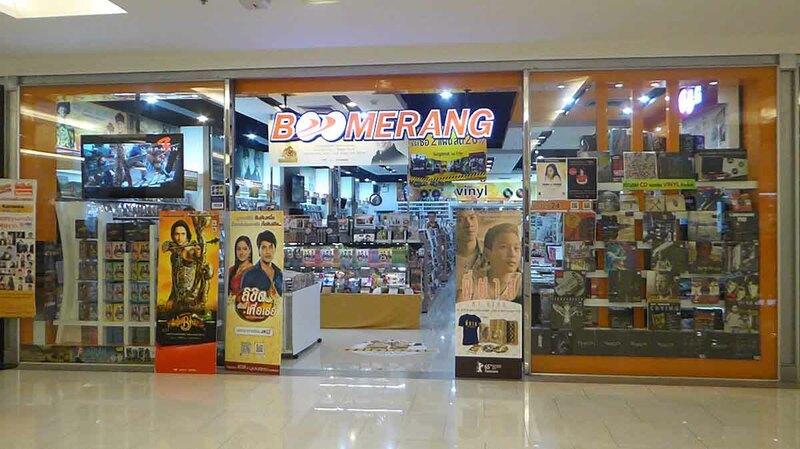 One of the best chain stores for buying original film and music is Boomerang. There are around 20 shops in Bangkok including at Central World, Terminal 21, Siam Discovery, Fortune Town, and Central Plaza Rama 9. Boomerang stocks an extensive collection of movies on DVD & Blue Ray both local and imported as well as concerts and box sets of American and UK TV series. They also stock the latest CDs by International artists, computer games, and film-related magazines, toys, and clothes. 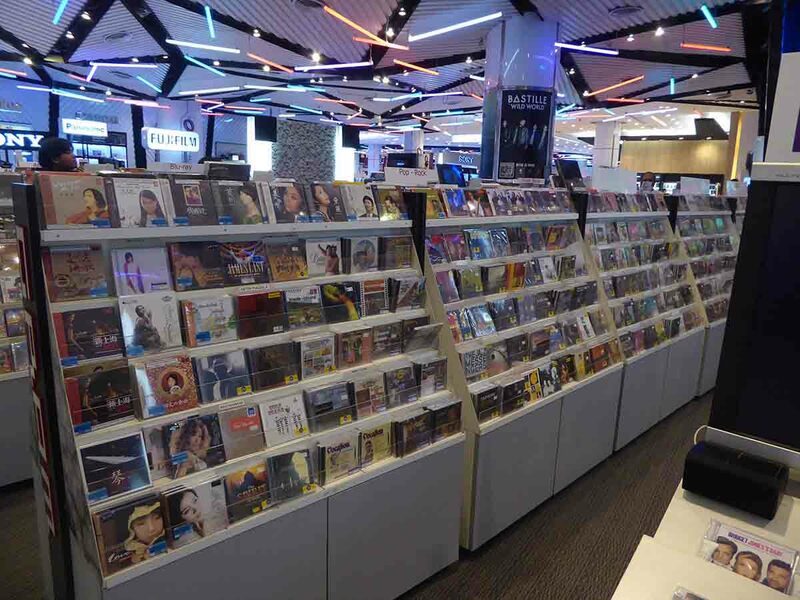 The Central World store also stocks new and classic vinyl records. The largest store is the Central World outlet. Always check with the shop staff whether a DVD has an English soundtrack. Stores are open daily 10.00-22.00. CAP is a smaller chain than Boomerang and has a similar product range. They have central Bangkok stores at Central World, Gateway Ekkamai and Siam Paragon department store (Be Trend). The Central World store is the largest of the 3 and can be found on the same floor as Boomerang. They also stock CD and Vinyl music. Prices are like Boomerang though they do have a continual rotating sale stock at a bargain 59-99 baht which includes a lot of good older titles. Always check for the English soundtrack. Opening hours are 10.00-22.00. 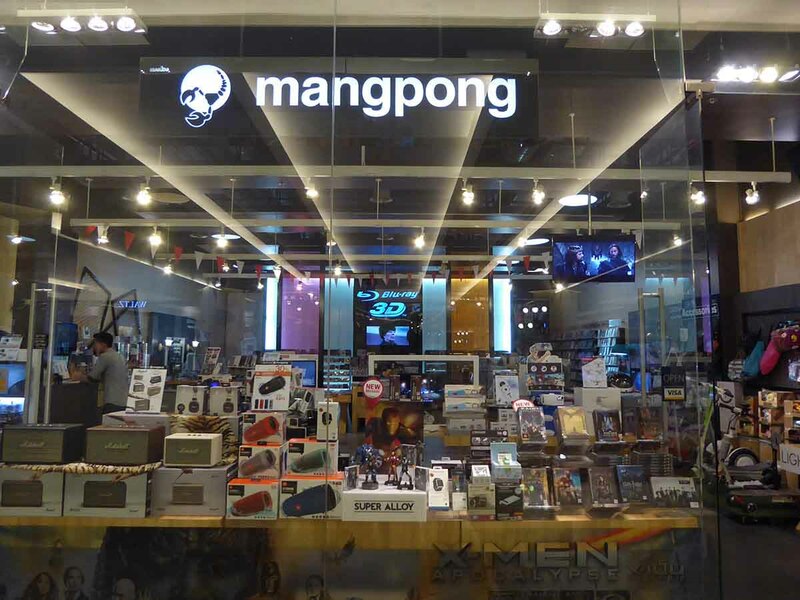 Mangpong was Thailand’s biggest DVD retailer but is now down to a handful of shops and has diversified into selling gadgets. They also stock DVD, Blue Ray, CD’s and computer games at similar prices to Boomerang and CAP. Gadgets include the latest portable speakers, headphones, and music players. Centrally located stores are at Siam Paragon, Central World, MBK, Major Cineplex Sukhumvit, and Emporium. Another good shop that sells official DVD’s is B2S. B2S also sell stationery, books, CD’s, Vinyl records, and art products. B2S has branches at Central World, Central Chidlom department store, Central Plaza Rama 9 and Silom Complex. Gram on the 4th floor of Siam Paragon department store has a large DVD/CD choice. A 5% discount is available with the Central & Paragon tourist discount cards. 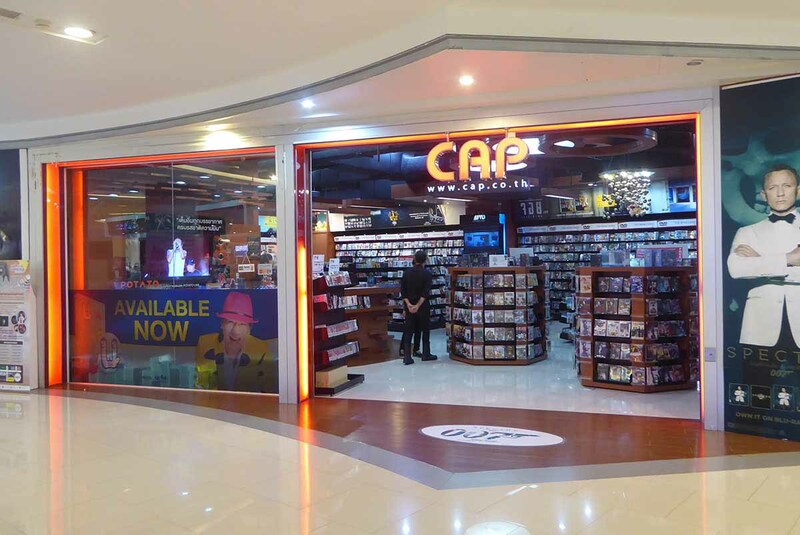 Pirated copies of movies are still available all over Bangkok except for the up-market malls despite regular attempts by the authorities to curb the trade. If you want to buy pirated movies you should bear in mind the following. The quality can be poor especially for new movies that are showing in the cinemas. These movies are almost always filmed with video cameras inside theatres. They are dark, the sound is poor and the full screen is usually not captured entirely. Bangkok has some ultra-modern world-class cinemas that will cost you 200 – 250 baht (100 – 120 on Wednesdays) to see a new movie in comfort. This compares with around 700 baht in most western countries and the popcorn and drinks are much cheaper too. So instead of buying a crappy DVD that someone has filmed on a video camera treat yourself to a night out at the movies! As almost all cinemas in Bangkok are housed in malls why not combine it with shopping and a meal. Many pirate DVD’s will list extras on the sleeve which are not actually on the disc. Don’t bother asking the vendor if the quality is good. The only answer you will get is yes. Some pirate DVD stick or skip so that you can’t watch the complete movie. You could face stiff penalties involving prosecution and fines if you get caught bringing them back into your home country. Australia and Italy are two countries that are very strict. Older movies copied from official DVD releases are usually better quality. If you’re shopping for pirated DVD/Blue Ray in Bangkok, you will find them in the places below. Prices vary by location but in general are from 3 for 100 baht up to 100 baht a piece. Blue Ray discs are more expensive at 80-150 baht each. Khlong Thom Market in Chinatown has loads of stalls selling at 3 for 100 baht though some discs have a Thai soundtrack only. MBK has several stalls on the 4th to 6th floors. Pantip Plaza has several hidden stalls. Touts inside the mall will guide you. Fortune Town has shops openly selling discs usually from back rooms in the shop. Patpong Night Bazaar has a few stalls with more on the Silom Road. Khaosan Road has several stalls. Palladium Mall has a couple of stalls.